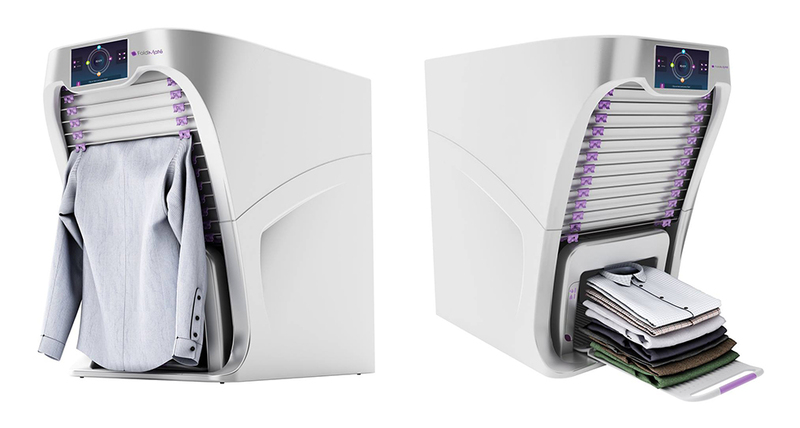 FoldiMate is a device made to take care of the third part of the laundry process — folding. This is a robot that can de-wrinkle and fold your clothes. It can even perfume them in the process if that’s what you’re about. The laundry folding machine has a loose 2018 release date and a $700-850 target price point. The sooner the better and money is no object. Imagine! Me! Living in a world where my clean clothes are actually getting folded and not just being moved from the dryer to my bed until it’s time to sleep, at which time the pile is moved to the floor where, at some point in the night, my dog makes a nest out of. Sounds like a real dream come true.